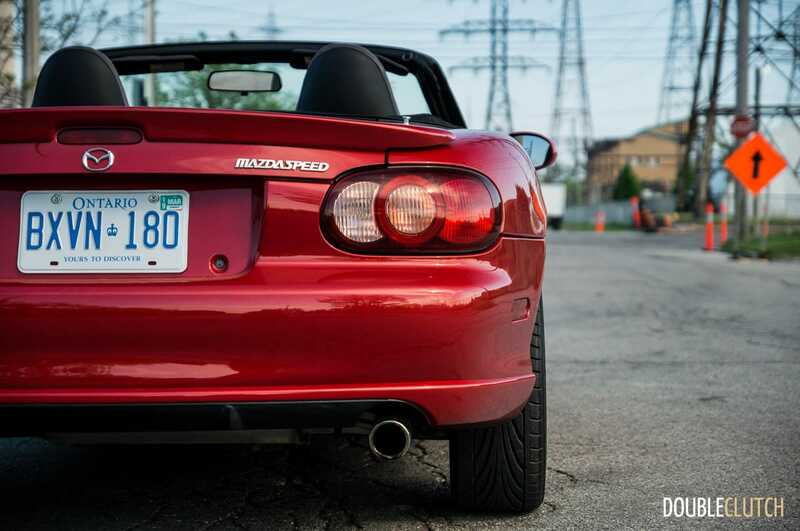 Near the end of its second generation, Mazda decided to spend some research dollars on the little Miata, and add the “Mazdaspeed” nameplate. 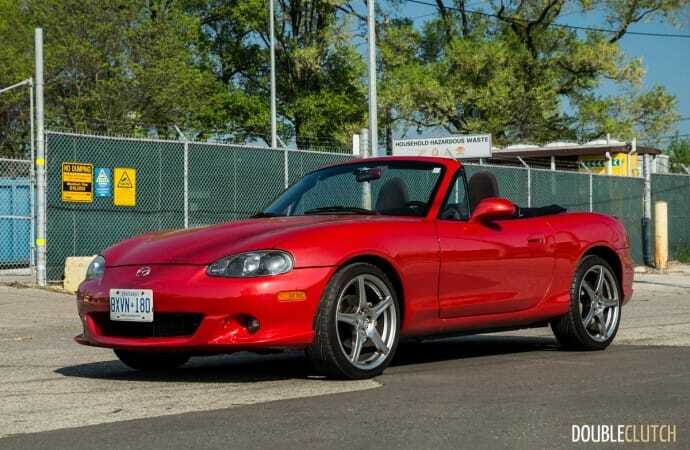 They slapped a small turbo onto the base “LS” model, gave it the six-speed manual instead of the standard five-speed, and some Bilstein shocks. 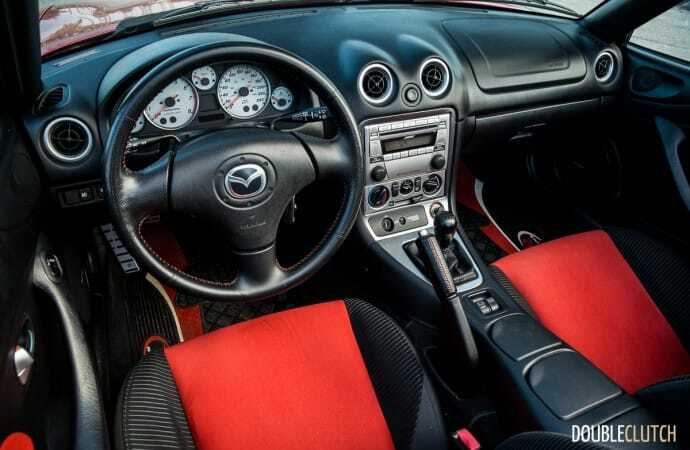 17” Racing Hart alloys were standard as well, along with interior upgrades such as a Bose six-speaker stereo, alloy pedals, and leather-wrapped steering wheel/shifter. 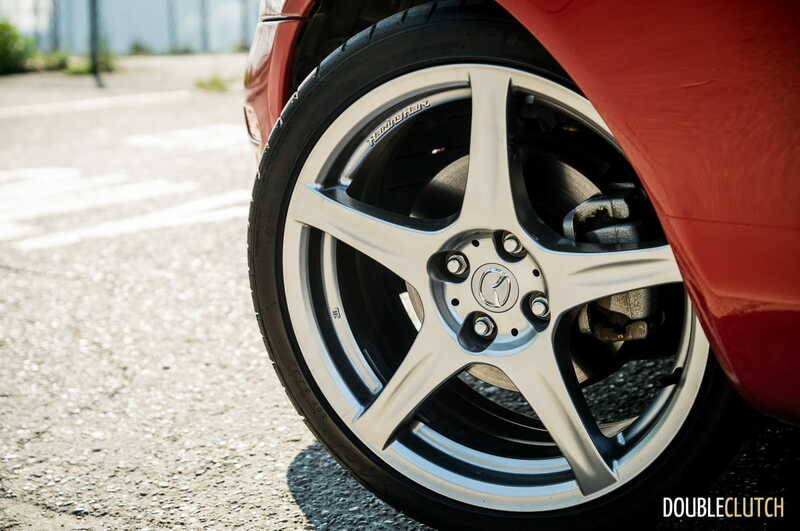 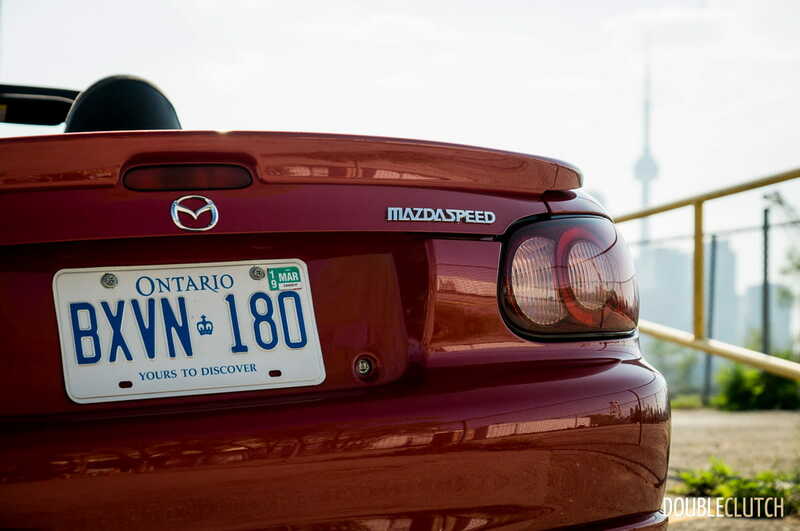 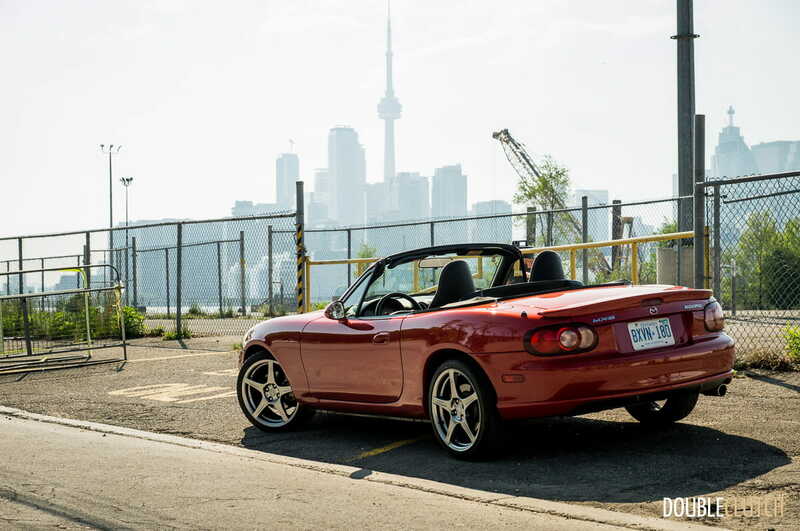 Our friends at Mazda Canada have some real passion for their own brand, because they recently bought this immaculate example, a 2004 Mazdaspeed MX-5, and lent it to us for a few days to experience it for ourselves. 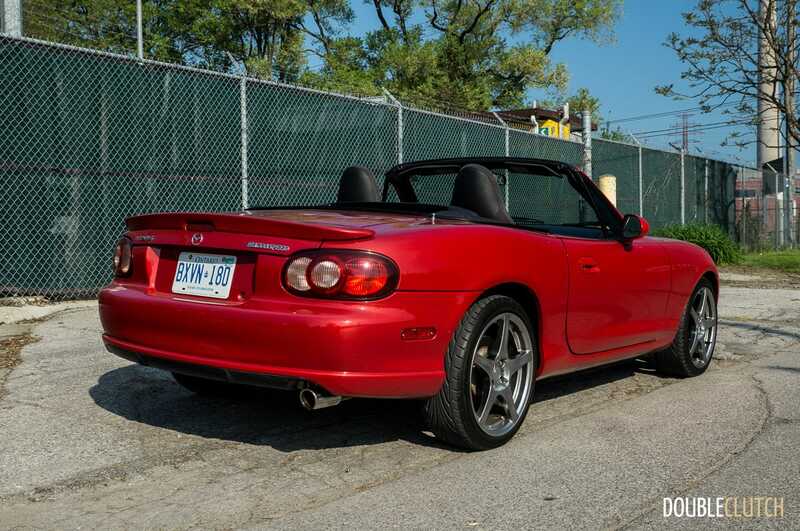 It has roughly 60,000km on the clock, and has never seen inclement weather – this is a cherry example. 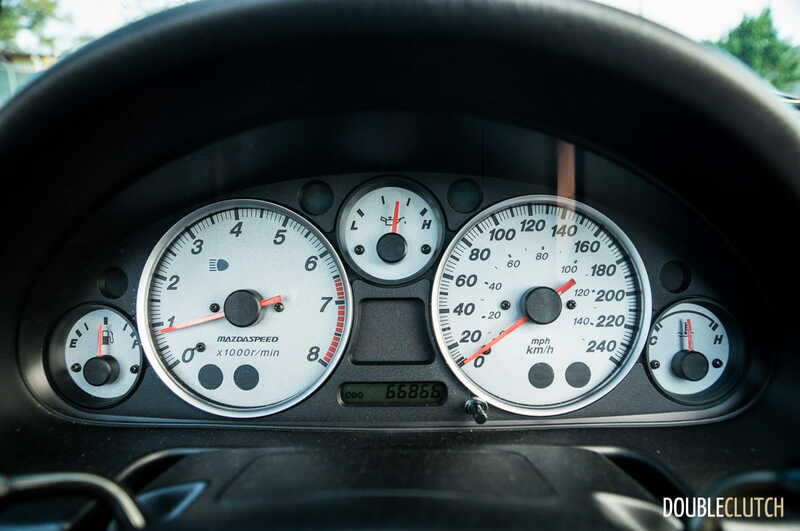 Similar vehicles are on the used vehicle market can currently be had for between $10,000 and $15,000, dependent on condition and mileage. 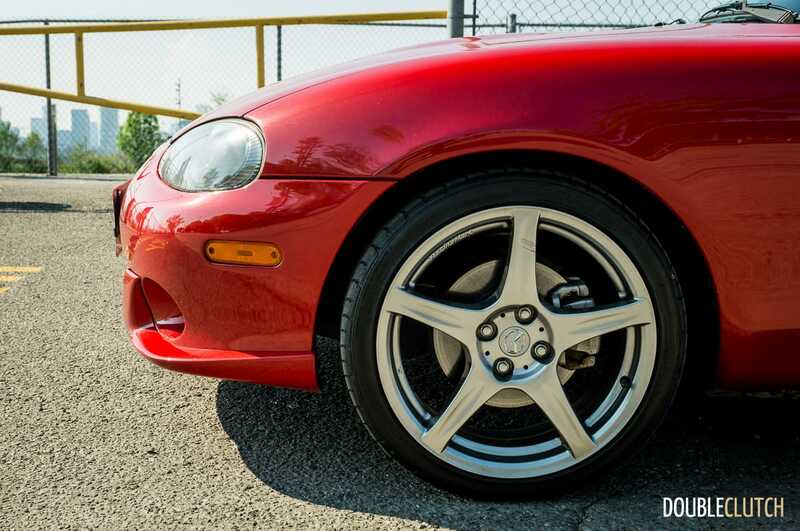 We found it interesting to contrast this car with another extremely appealing and rare 2004 sports car; one we own in our very own garage. My weekend track toy is a 2004 Honda S2000, another two-seat roadster from Japan made at the exact same time as the Mazdaspeed. 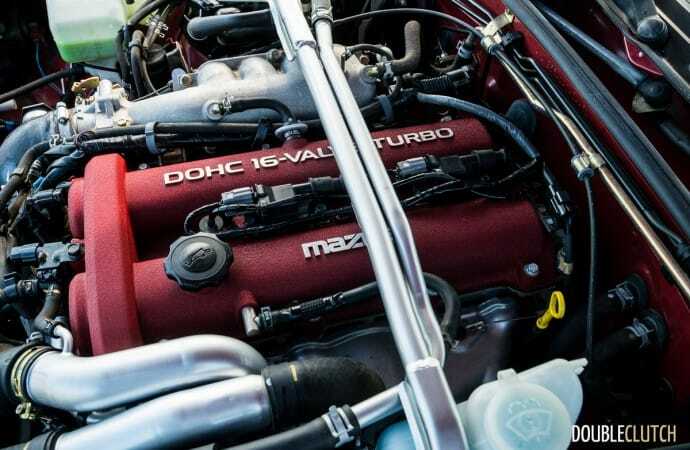 The Honda’s powerplant is a naturally-aspirated 2.2L four that’s good for 240 horsepower and 152 lb-ft. of torque, while the Mazda’s turbo-four pushes 178 and 166, respectively. 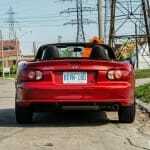 The numbers are similar, and both cars have excellent six-speed manual transmissions and soft convertible tops. 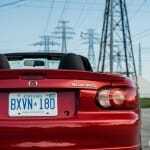 The main difference is in price – when brand new, the Mazda cost $34,395 while the Honda stickered just over $50,000. 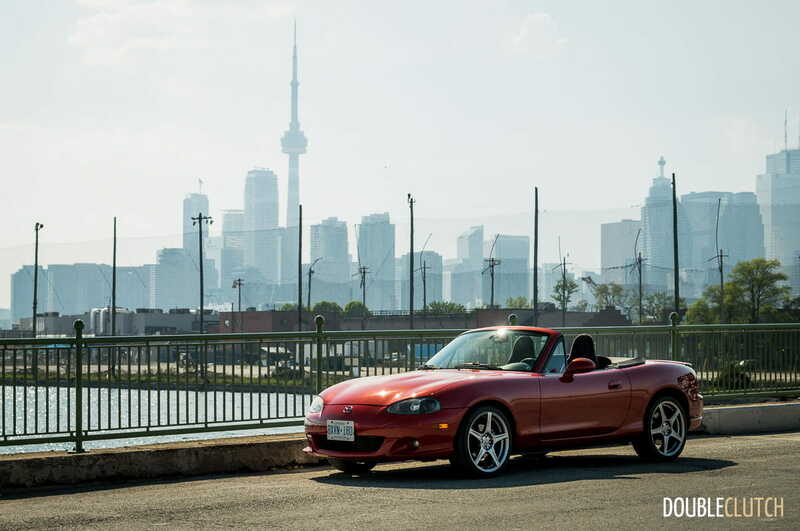 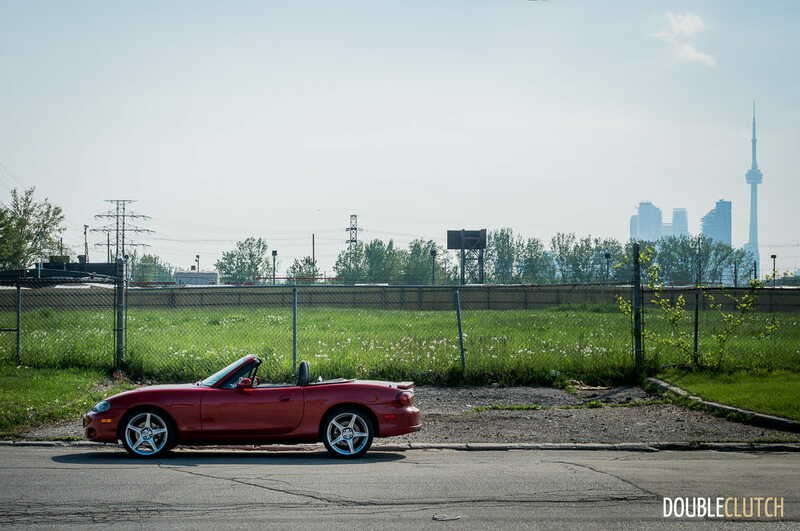 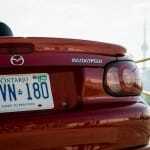 I picked up the Mazdaspeed MX-5 on the perfect night – the temperature was just warm enough for a 50km jaunt across Toronto with the top down. 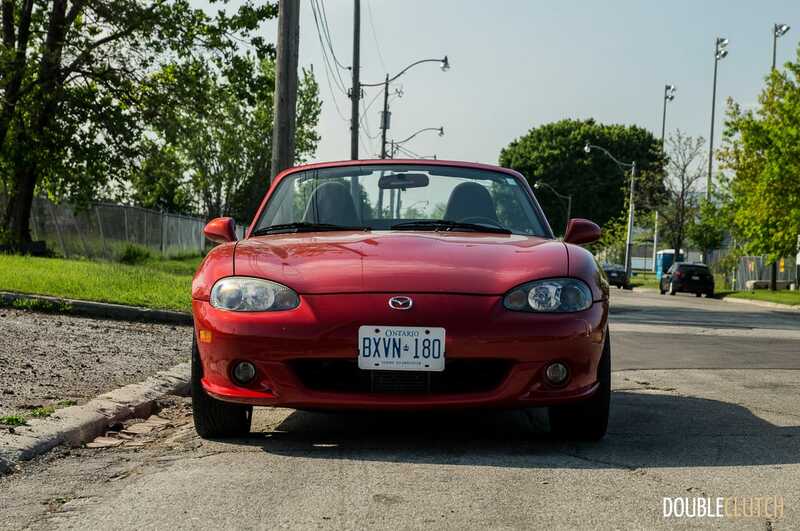 Having driven every other variant of Miata, it was a pleasant surprise to hear the small turbo spool up and deliver the perfect amount of pep that the NB (second-generation) Miata needed. 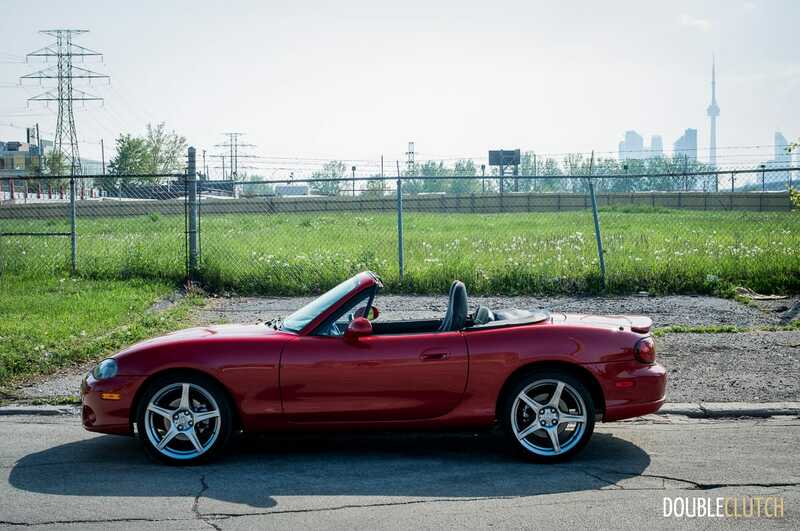 The clutch is also bang-on, but we drove this car back-to-back with a spotless first-generation 1990 car, and the older car had the vastly superior shifter. 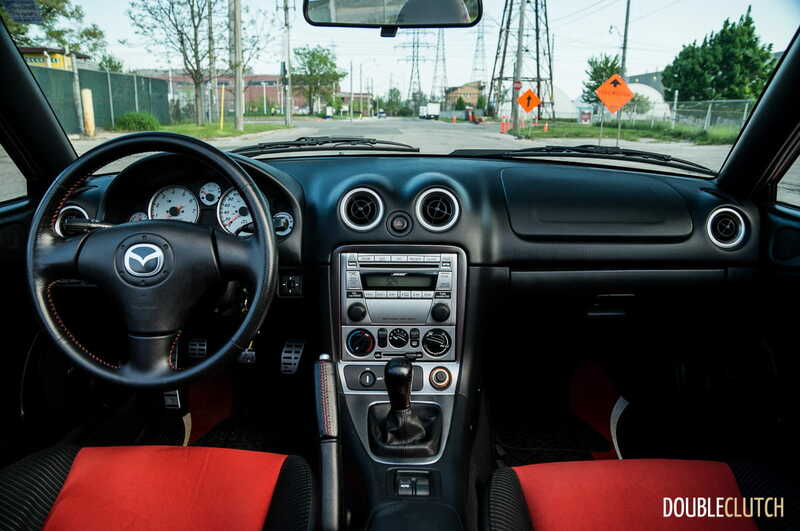 That said, the one in this car isn’t poor by any standards; our expectations for Mazda shifters are sky-high. 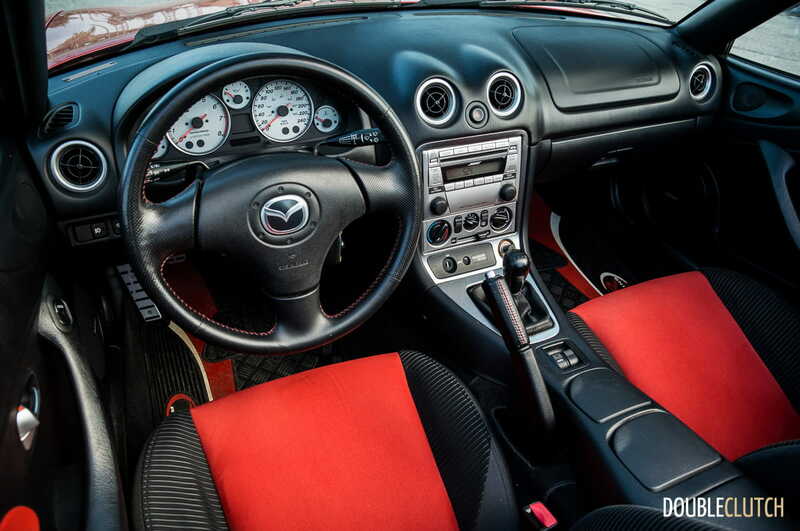 The top mechanism is extremely easy to operate, and while it’s not as painless as the S2000’s power top, it’s a lighter assembly overall. 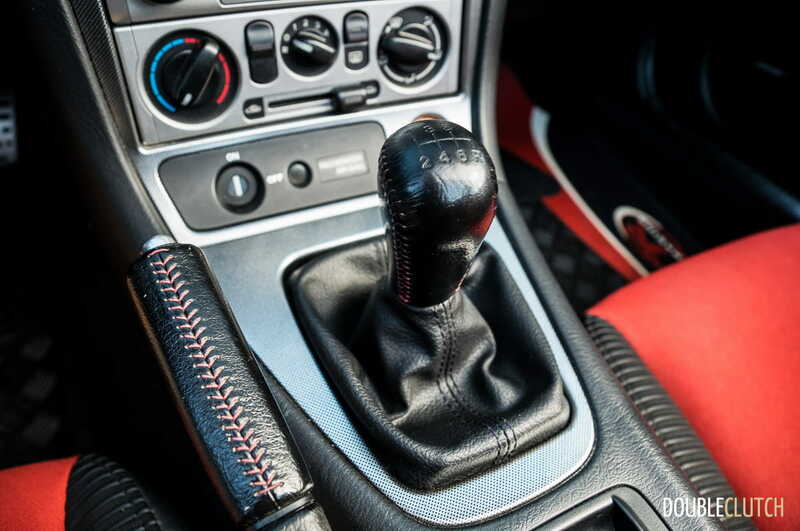 Two latches and a flick of your wrist will open it. 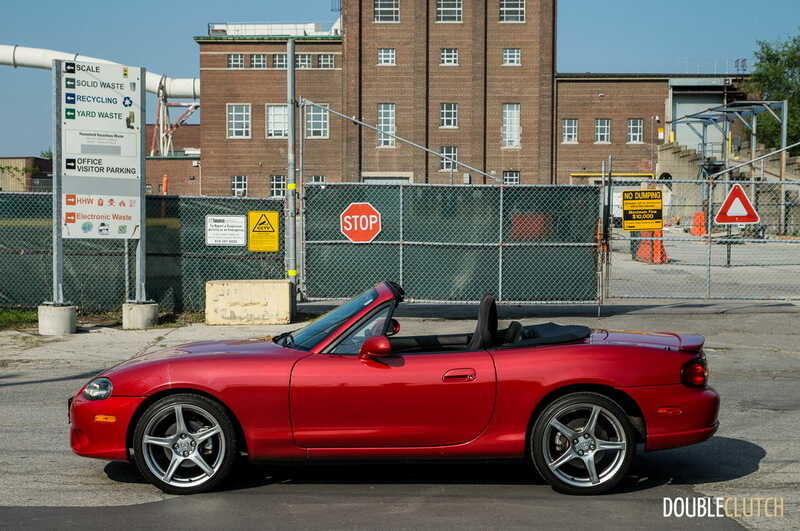 Closing it requires some arm strength, but I’ll have that over a power top any day of the week. 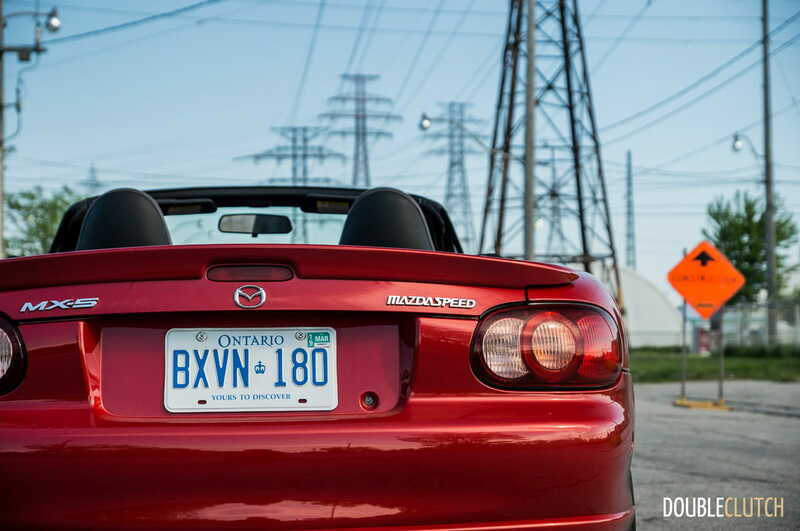 Here’s where things start to fall apart – the MX-5 runs out of breath on the top end, and the S2000 comes alive north of 6,000RPM, where VTEC kicks in and pulls right up to the redline north of 8,000RPM. 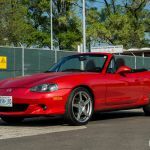 Throttle response is sharper in the Honda, and while the Mazda’s steering is hydraulic and not electrically assisted, the S2000 has one of the sharpest EPS systems ever put into a car. 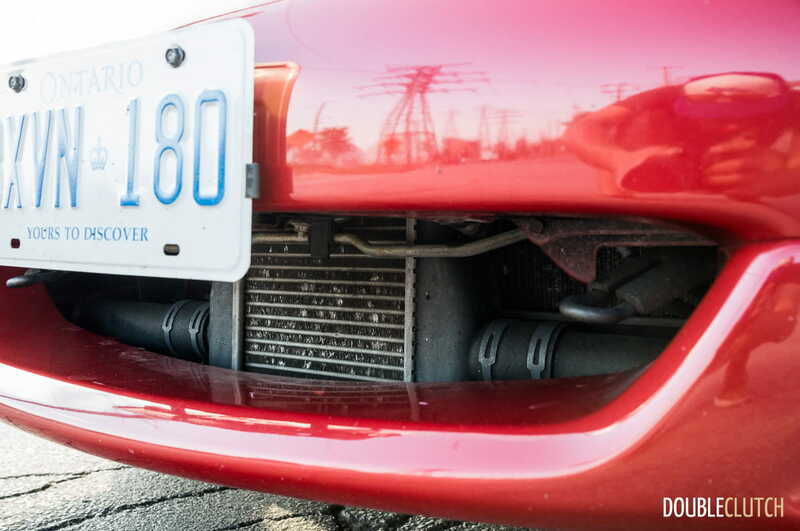 Power delivery really is up to preference, but one of the biggest challenges we see with the Mazdaspeed is cowl shake, which is surprisingly bad. 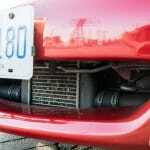 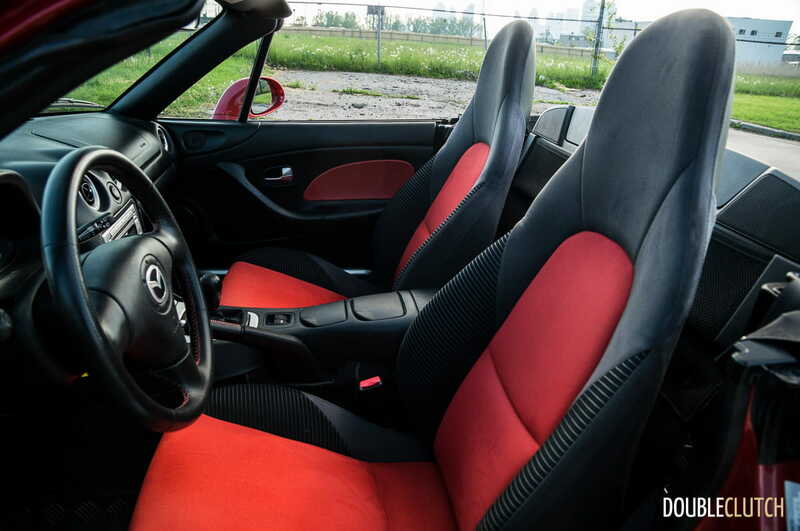 After speaking with one of our colleagues who has owned a second-generation Miata in the past, this is one of the most common issues with this car. 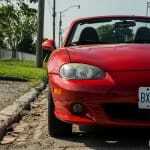 Other than that though, the MX-5 is compliant in all driving scenarios, with a tight suspension and fantastic steering. 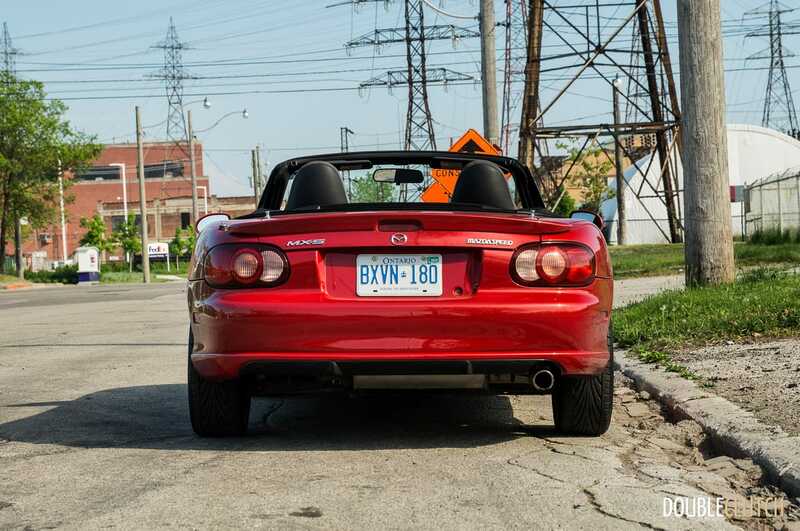 I may own an S2000, but those who know me are aware that the car was a circumstantial purchase and not one that I seeked out. 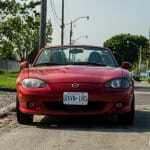 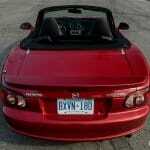 I have always been a Miata guy at heart and regardless of generation, it’s one of my all-time favourite vehicles. 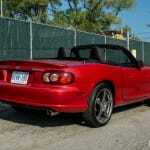 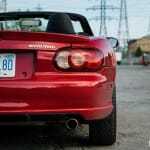 Is the second-generation S2000 a better car than the Mazdaspeed MX-5? 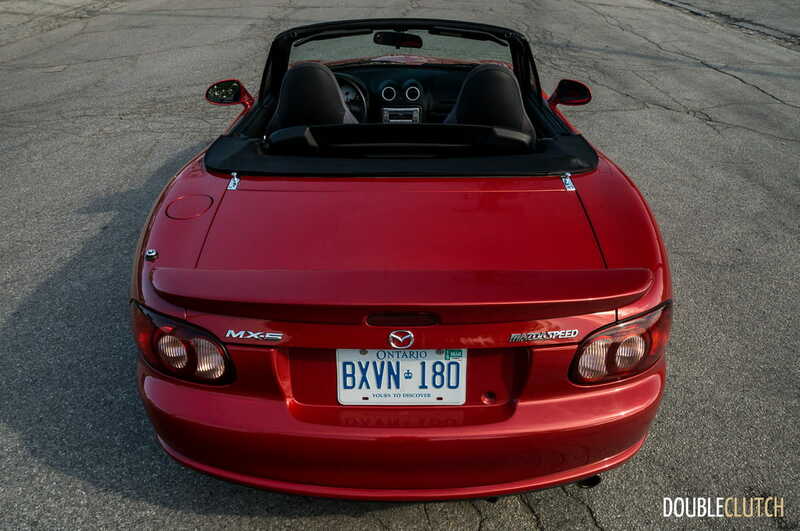 The consensus around our office is that yes, it is, but was it $17,000 better when brand new? 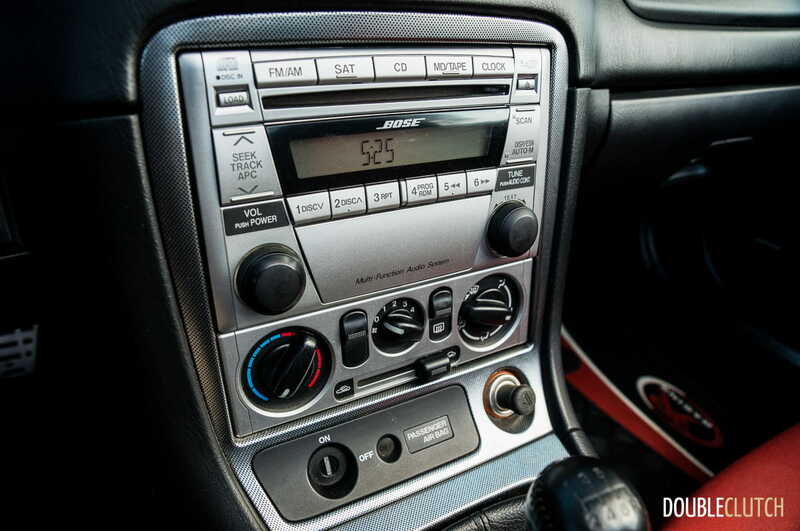 Probably not, and that price differentiator has carried forth to the used market. 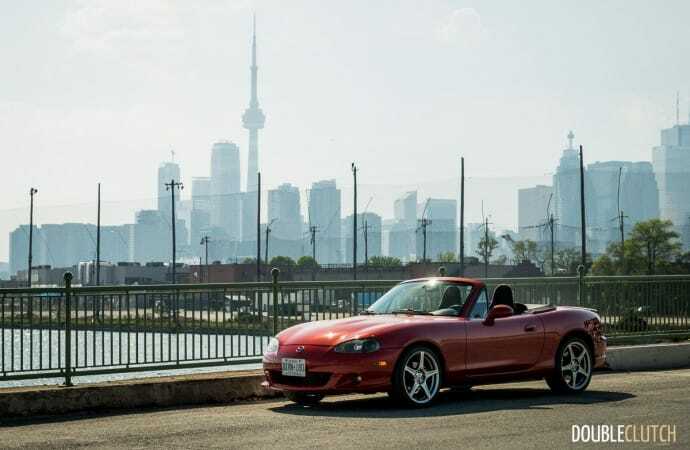 A mint 2004-2005 S2000 with low mileage pushes the $25,000 mark easily, and the better the shape or lower the mileage, the price slowly climbs. 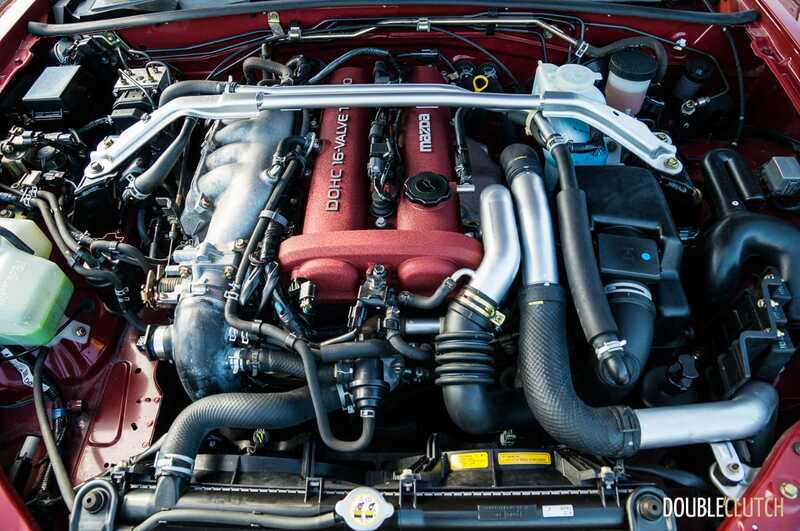 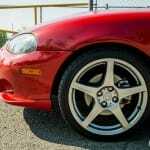 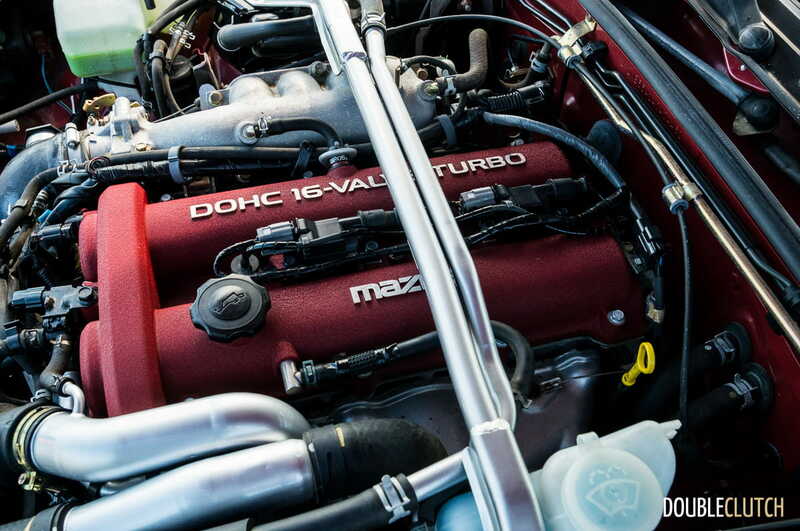 The most spotless Mazdaspeed MX-5 can be had for under $15,000 if you look hard enough, and while they’re extremely rare, the local classifieds always seem to have one or two clean ones. 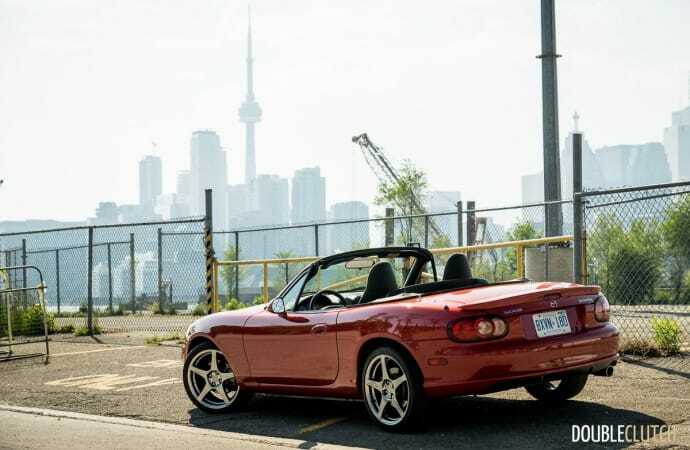 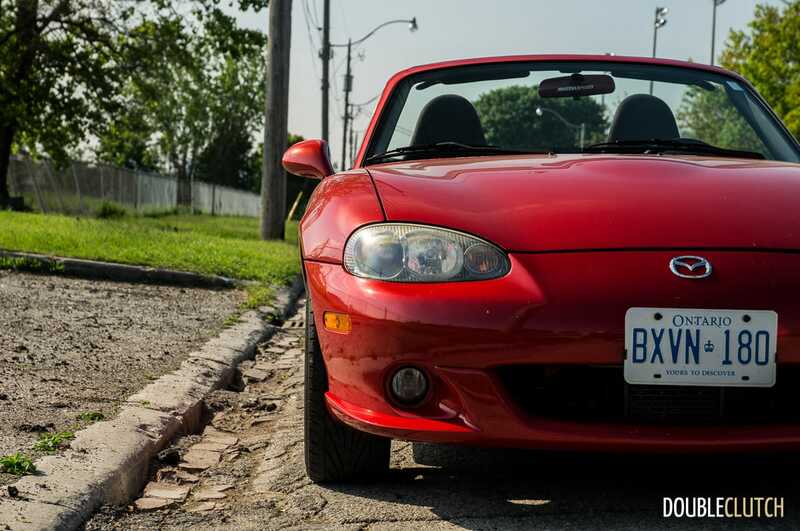 It may not be the best sports car of its era, but the 2004 Mazdaspeed MX-5 is an excellent used value and combines good driving dynamics with nostalgia.